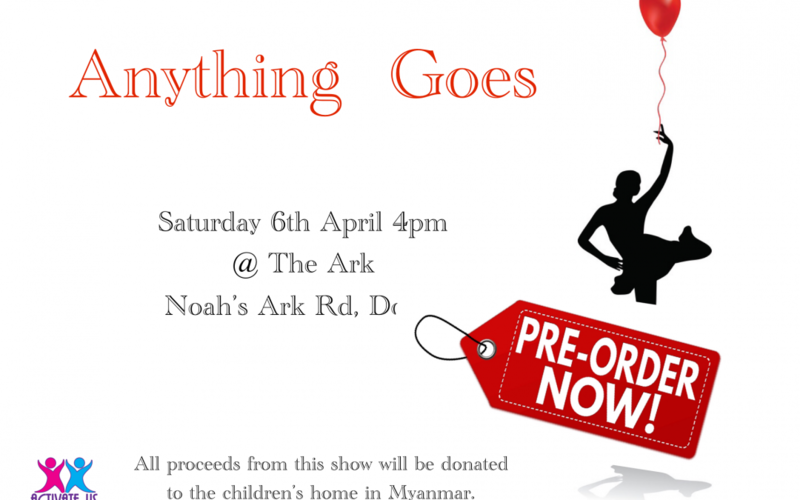 Tickets for our show, ‘Anything Goes’ will be available to collect this Saturday, 9th February. To order your tickets please pay into the orders/exam account 16033310, sort code 600704, stating your child’s name. Tickets are £5.00 each and limited to up to 6 per family. We will then have them available for you to collect after your child’s class on Saturday or during the week if your child attends weekday classes. Alternatively you can bring cash into the school on Saturday, (no cheques please). Please note Saturday is very busy so if you could pay into our account directly that would be really helpful.